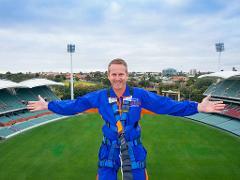 Climb Adelaide Oval’s unique roofline during the day and enjoy outstanding views of the picturesque city of Adelaide. Experience the icon like never before on RoofClimb Twilight. Venture across the unique roofline as the sun fades and the city skyline comes to life! See the city in a whole new light... with RoofClimb Night! 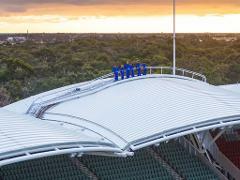 Witness the action of an Adelaide Crows 2019 home game from the best seats in the house! Witness the action of an Port Adelaide Football Club 2019 home game from the best seats in the house!